Princess Cruises’ Majestic Princess made a spectacular entrance to Sydney by sailing in on the world’s first floating ‘runway’. 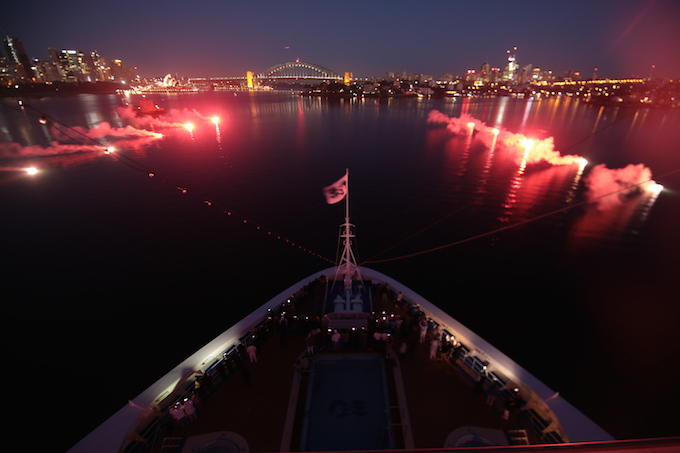 The extravagant celebration was held to mark the maiden arrival of the ship, the largest Princess Cruises’ vessel ever to visit Australia. 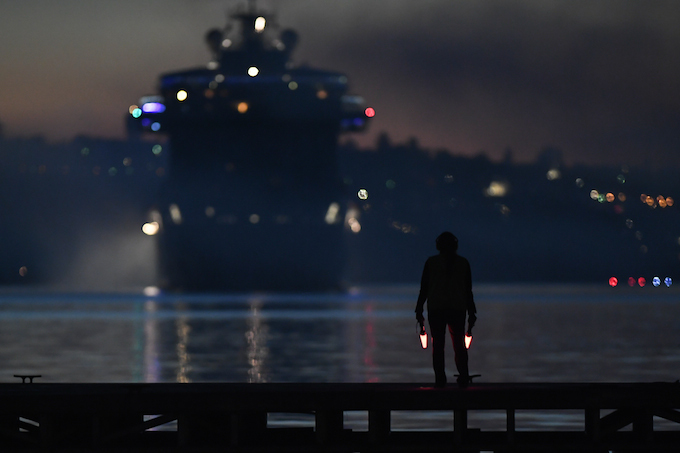 The 3,560-guest Majestic Princess was filmed arriving into Sydney via the 1,550 metre-long illuminated floating runway, which was created by 62 buoys with red and white flares that guided her path into Sydney Harbour. The newest ship in Princess Cruises’ fleet, Majestic Princess will be based in Sydney for the next six months, and will join three other Princess Cruises’ ships – Sun Princess, Sea Princess and Golden Princess – in Australia. The vessels will sail from Sydney, Melbourne, Brisbane, Fremantle, and Adelaide. Princess Cruises recently announced its largest ever deployment in the region for 2019-2020. Five ships will travel to more than 100 destinations and carry around 200,000 guests. The extra capacity will help meet growing demand from the UK. The amount of Brits booking Australia and New Zealand voyages with Princess Cruises has nearly doubled year-on-year in 2018. Majestic Princess’ current sailing is being filmed as part of series six of the ITV documentary ‘The Cruise’, which is due to air in the UK in early 2019. The documentary will reveal what life is like for both crew and guests as they sail around Australasia.